Dr. Minh-Triet Dang obtained the degree of Doctor of Dental Surgery from the University of Texas, Health Science Center in Houston. With the distinct honor of Hanau Best of the Best Award of Excellence in Prosthodontics. He has over 5 years of experience and enjoys all aspects of dentistry. Dr. Dang is not only committed to providing the best quality treatment for his patients, but he learns a new language from them. When Dr. Dang is not caring for patients, he is at home caring for his mother and the rest of his family. During his free time he also likes to take drives around Texas, in his cars. 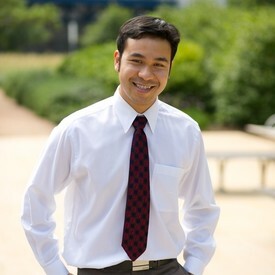 Dr. Minh T. Dang, D.D.S. Available every Tuesday and Friday from 9am-6pm for general dental procedures.